QUBES - Blog: Reflections on the QUBES/BioQUEST Summer Workshop - a future faculty perspective (final post in the series). You are here: Home / News and Activities / Blog / 18 / 11 / Reflections on the QUBES/BioQUEST Summer Workshop - a future faculty perspective (final post in the series). Four highly motivated future faculty volunteers attended the 2018 QUBES/BioQUEST Summer workshop. Over the past few months, they have been sharing their experience with the QUBES Community in a series of blog posts (see posts from Lillian Senn, Mark Slabodnick, and Jenny Hazlehurst). In the final post of this series below, future faculty and guest blogger, Darcy Taniguchi, discusses her experience at the 2018 QUBES/BioQUEST Summer workshop. Two of my professional aspirations are 1) to help people understand and appreciate the natural world and 2) to teach and use an interdisciplinary skill set to address complex problems. The BioQUEST/QUBES summer workshop was an ideal forum to collaborate with like-minded people and learn from and with them effective teaching strategies in alignment with my professional goals. Additionally, the workshop theme, Wicked Problems, highlighted the need for multidisciplinary skill sets to tackle complicated problems facing, among many things, the natural world. One of the many fascinating and thought-provoking presenters that clearly embodied the theme in her work was Sunshine Brosi. Among her many impressive accomplishments, she discussed working with students to examine spatial modeling of green space in urban areas and how it relates to environmental justice. She also described the value of students learning about species within their natural environment and directly from the diverse people who rely on those species. Her work to teach students biology from the perspective of diverse cultures, and often taking far-ranging trips to these different environments around the US, was really inspiring. I wish I could take her courses! Unfortunately, I am not in a position to take her classes nor do I feel sufficiently prepared to teach them. Nevertheless, universal design for learning discussions proved very edifying to learn how to adapt field trips to accommodate a variety of student abilities. Ideas put forth included working in pairs, modifications of tasks, using GoPros for virtual experiences, and making students aware of what to expect (e.g., the location will be loud, dimly lit, etc.). These discussions have made me mindful of how to ensure all students have an opportunity to learn about and experience nature. In addition to learning new ways to teach students, I also used the workshop as an opportunity for me to ascertain new technical skills. I pushed myself out of my comfort zone and helped build a Shiny App and Swirl lesson using the programming language R. As discussed in the blog post by my collaborator Jenny Hazlehurst, we built, along with another attendee Suann Yang, a curriculum that uses an Internet cat video as a fuzzy and cute introduction to a statistics lesson and basic programming. We recently shared this curriculum at the National Association of Biology Teachers Conference. We received lots of interest and helpful suggestions, including adding dog videos to be more inclusive of people’s animal preferences (including my own). The efforts to learn how to build educational resources in R also encouraged me to join a Faculty Mentoring Network (FMN) hosted by QUBES called Reducing Barriers to Teaching with R in Undergraduate Biology. This enlightening and fun network connected me with people with similar professional goals, facilitated by our leader Paige Parry, another BioQUEST/QUBES attendee. All participants in the FMN built a Swirl lesson that we used to teach our students math and programming within a biological context. The one I built was executed in my ecology lab, introducing my students to programming skills to analyze authentic ecological data the students collected themselves. All of these meaningful outcomes, and many more, were generated from my interactions with the supportive, intelligent, and passionate community at the BioQUEST/QUBES summer workshop. As I reflect on the event to write this post, I realize how much I gained from this workshop and how much better equipped I am to pursue my professional goals of teaching and using an interdisciplinary skill set to address complex problems and help increase understanding of the natural environment. I now have knowledge, skills, confidence, and a network I would not otherwise have had if I had not been a Future Faculty volunteer, and for that, I am extremely grateful to BioQUEST and QUBES. 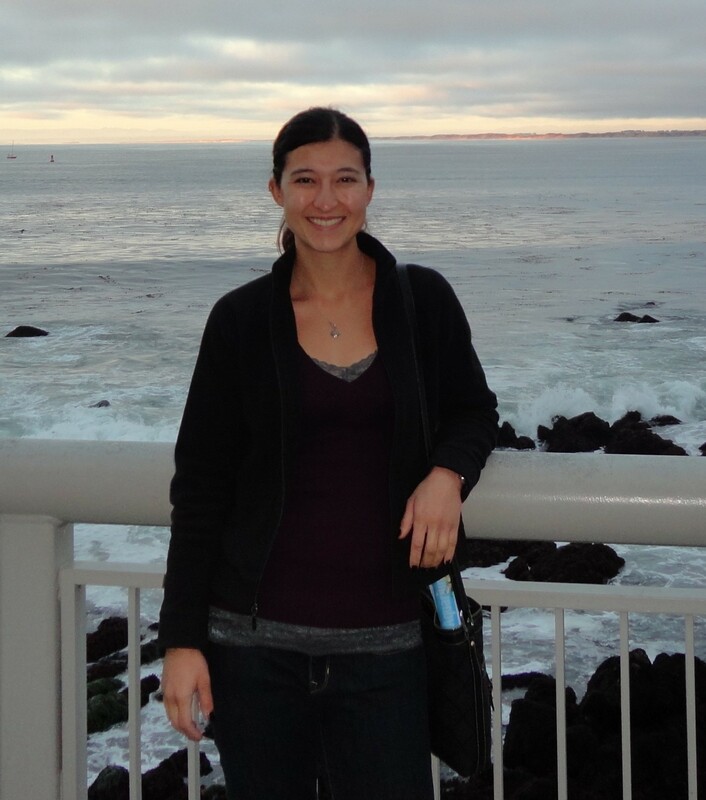 Darcy Taniguchi earned her Ph.D. in biological oceanography at Scripps Institution of Oceanography at the University of California, San Diego. She is now in a position to realize her professional goals as an assistant professor in the Biology Department at the California State University San Marcos. Her research has largely explored the characterization and response of marine communities and organisms to varying environmental conditions and biological interactions. The 2019 QUBES/BioQUEST Summer Workshop, titled Evolution of Data in the Classroom: From Data to Data Science, will be held at the College of William & Mary in Williamsburg, VA on July 14-19, 2019 and will focus on Data Science for Undergraduate Biology Education. If you are interested in attending, we encourage you to sign up for updates here. If you are interested in being a future faculty volunteer, learn more about the Future Faculty Program on the workshop website. Applications will open early 2019. QUBES appreciates and shares guest blog posts but their content reflects the opinions of the authors and are not endorsed by QUBES.